Australian brute Adrian “The Hunter” Pang might not have received a warm reception in his past encounter against a Team Lakay standout, but he is all praises when it comes to the grit and determination that have been exemplified by the combatants of the legendary martial arts squad. The 40-year-old native of Brisbane, Australia once shared the ONE Championship cage with former lightweight titleholder Eduard Folayang in August 2016 as a co-feature attraction of ONE: HEROES OF THE WORLD in Macao, China. Folayang may have had his hand raised in triumph at the end by way of unanimous decision, but he went through the eye of a needle in a grueling three-round battle with Pang. “Eduard just kept on firing with strikes from all angles. He was maintaining his distance, so he could throw his heavy right hand and fancy kicks. He was always one step ahead in that bout,” Pang recalled. Folayang had the clear advantage in the stand-up department from bell to bell, dropping Pang to the canvas twice with a spinning backfist in the dying seconds of the first round and a sneaky-but-solid right straight in the opening moments of the final frame. In addition, Folayang peppered Pang with inside leg kicks and consistently bombarded his opponent’s defensive guard with well-executed spinning back kicks to the midsection. Despite Folayang’s chafing activity on that night, it was not enough to secure the finish against Pang, who had his opening in the third canto by maintaining a sturdy top control on the canvas to pummel his Filipino foe with elbows and short punches. “I had my momentum midway of the third round of the fight when I caught him on the ground, but he managed to reverse the position. He was ready. We all knew what happened after our cage meeting. 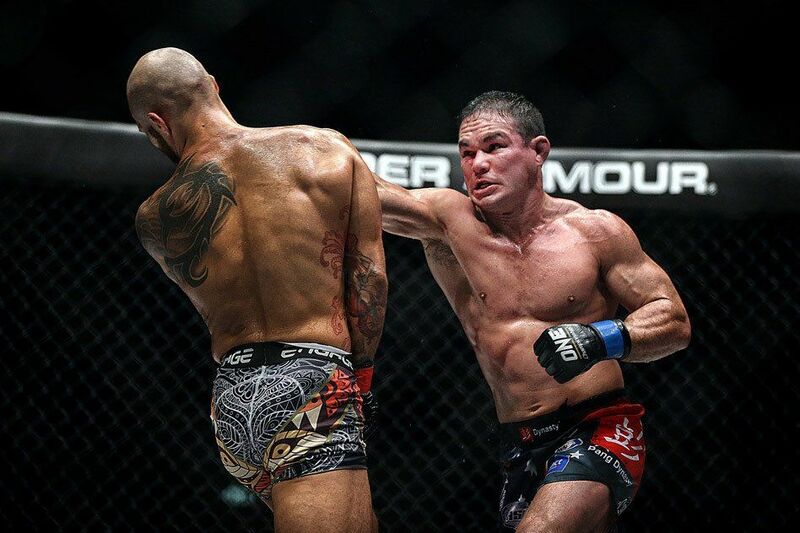 He beat Shinya Aoki and became a champion. He was ripe to be in that position,” Pang said of Folayang. Even though Pang was unsuccessful against Folayang, he did not mince words about his admiration for Team Lakay’s formula in producing top-notch homegrown talents. For his next assignment inside the ONE Championship cage, Pang will be sharing the stage with another Team Lakay representative as he is tasked to take on ex-featherweight kingpin Honorio Banario. Both men are set to collide on the undercard of ONE: HEROES OF HONOR, which takes place at the 20,000-seater SM Mall of Asia Arena in Manila, Philippines on 20 April. Suffering from a three-match losing skid, Pang admitted that having his back against the wall adds a bit of sting as he enters a cage duel with the hot-streaking Banario. Banario has experienced a career resurgence ever since recreating himself as a lightweight, acing his last four outings under the promotion’s banner. “He comes forward, he tries to engage standing, grappling, and everything. Let’s hope he does the same thing here, and we will just collide in the middle. I know he comes to bring it. That whole team does, so I am definitely excited about it,” he explained. 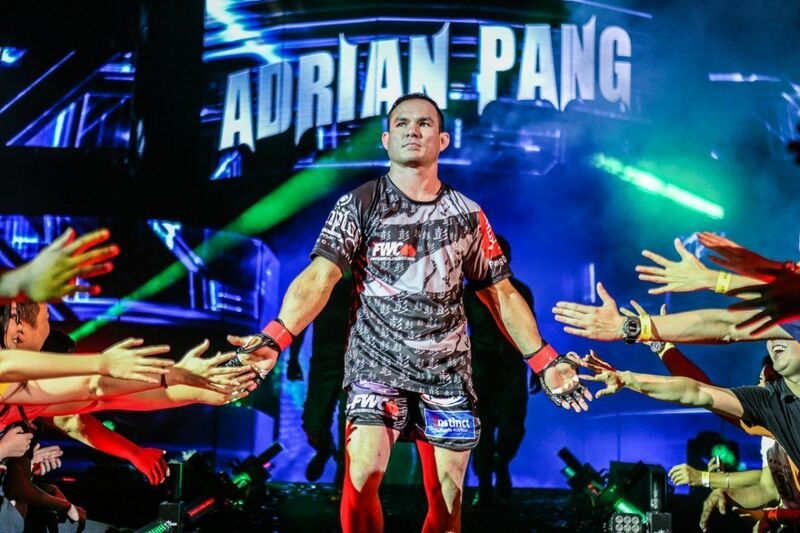 At 40 years of age and with 35 professional bouts, Pangs knows that he has far less time in front of him than what is left behind in his mixed martial arts run. However, Pang reiterated that it is still too early to call it a career as he looks to put on thrilling matches that will keep fans buzzing. “I’ve still got it, I believe. I still feel I can keep doing it against the best. I know I came up short in my last few fights, but I am still hungry. The title is out of the question right now. I just want to give fans a good, exciting contests,” he guaranteed.